Shopping for a used Volkswagen in Sterling? 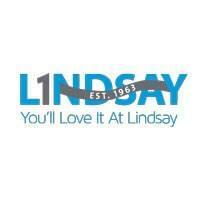 Here at Lindsay Volkswagen of Dulles, you can always count on us to offer the best used car deals we can. Virginia drivers looking to save big on their next used car purchase are encouraged to browse our used Volkswagen deals currently on offer and then get in touch with us to schedule a test drive! Used and Certified Pre Owned vehicles are market priced and already include reconditioning and Certification fees. Sale price may require that the vehicle is financed through one of our preferred lenders (on approved credit). Tax, Title, Tags and $699 processing fee not included in vehicle prices shown and must be paid by the purchaser. Certified vehicles may qualify for special programs. Certain used cars qualify for “perks”. While great effort is made to ensure the accuracy of the information on this site, errors do occur so please verify information with a customer service rep. This is easily done by calling us at 844-230-4217 or by visiting us at the dealership. We appreciate your interest in our inventory, and apologize that the model details are not displaying on the website at this time. Please submit the form below and our team will quickly respond, or please call us at 844-230-4217 for more information. You opt for a used car in order to get an affordably priced vehicle that comfortably fits the budget, and you choose a Volkswagen because of the brand’s reputation as an award-winning automaker. With that in mind, we do our best to offer used vehicle specials on a range of popular used models, from the Volkswagen Jetta to the VW Golf and even some models priced under $10K. No matter which model you’re looking to buy, you’re likely to find it at a great price when you shop from our used vehicle specials at Lindsay Volkswagen of Dulles. Visit our VW dealership in Sterling today, and learn more about how you can take advantage of our currently available used car specials!